Show up first when consumers search Google. SEARCH ENGINE OPTIMIZATION (SEO) is all about playing the long-digital-game and we are your SEO athletes. A solid SEO Strategy is critical in appearing at the top of Google search result pages and driving ‘free’ visitors to your site. Effective SEO execution requires an experienced team of SEO experts to track and update your site. Our focus and dedication delivers top ROI results. At Pixaura, we create custom strategies that are unique to each each client. Your brand is unique and your approach should be too. We begin by evaluating your existing rankings and future search engine goals. After analyzing the competitiveness of your industry and desired keywords, we’ll determine exactly what it will take to achieve those goals. We develop a high-level strategy and begin implementation. Creating monthly reports that include all of your website’s key metrics (conversions, sales, traffic, rankings) allows us to summarize exactly what work was performed on your website. After analyzing the results and progress, we’ll setup a call to discuss your monthly report and review our plans for the following month. This monthly process allows us to evaluate the effectiveness of our strategy in real-time and channel more energy into strategies that have a proven and direct impact on your bottom line. 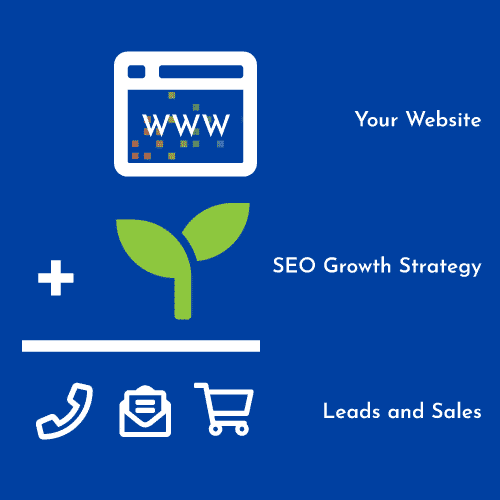 We’re an SEO Company that Grows Your Sales & Leads. Building a website without SEO is like writing a book without publishing it. No one will find it or buy it. Marketing your website through SEO is just as important as the way your website looks and functions. You can have a cutting edge website but without SEO it just isn’t visible. It’s important to choose a professional search marketing agency that understands search engine algorithms and is experienced in providing tangible results. We’ve helped companies increase traffic by over 500% in less than 6 months and grow sales by millions. Whether your needs are in lead generation SEO or eCommerce SEO, Pixaura is experienced in creating successful organic search marketing campaigns. Your website is a great marketing tool and an investment in and of itself, but it must be made readily available to potential customers to be effective. Our SEO strategies push your website to the top of organic search results. We also specialize in eCommerce website design & SEO for customers looking to market their products and online stores. Our professional website design expertise, combined with in-house SEO services, make us standout search engine optimization & website marketing experts. We’ve worked with start-ups to Fortune 500 companies, increasing brand awareness, growing leads and maximizing online sales. At Pixaura we combine current SEO trends with gained knowledge from past clients so we can implement proven strategies for your website. We’re known as one of the top-rated eCommerce SEO companies. We’ve helped numerous eCommerce clients achieve success with their online store. We create campaigns that deliver results. SEO reports delivered to your inbox on a schedule that works best for you. With insights and creative action plans to continue your eCommerce store’s results. You’re working with a team that is certified by Google. We have a full team of search engine marketing professionals waiting to assist you. We are also a Google Partner company, meaning you’re working with pros. Content is only part of the solution, you need a competent team of front-end and back-end developers to assist in optimizing your SEO architecture. We work with you to establish your online goals. And exceed them.